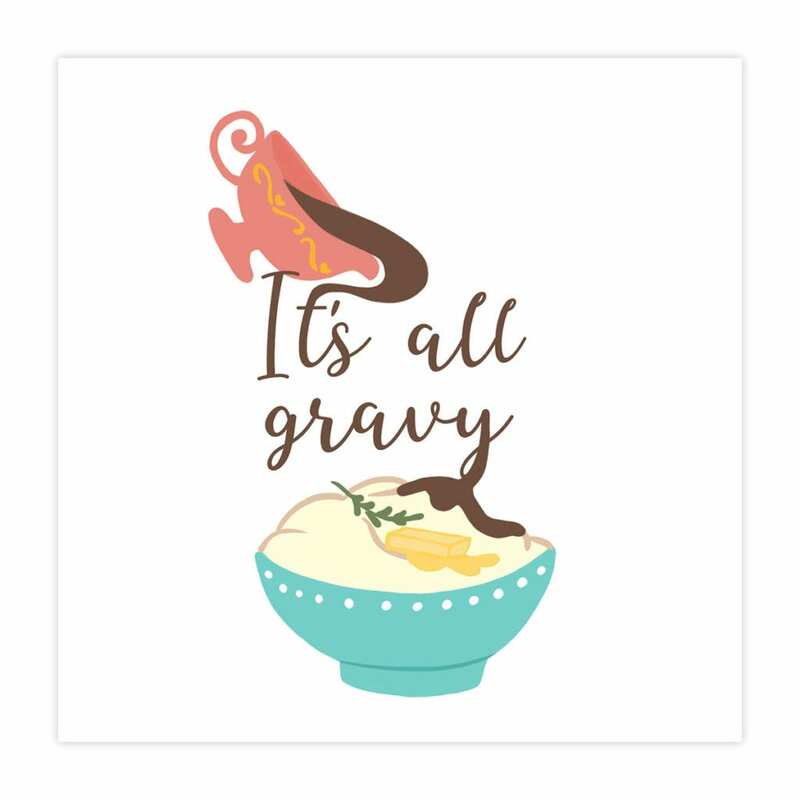 It’s not holiday season until you’re in a full on sprint to finish all the last minute preparations. 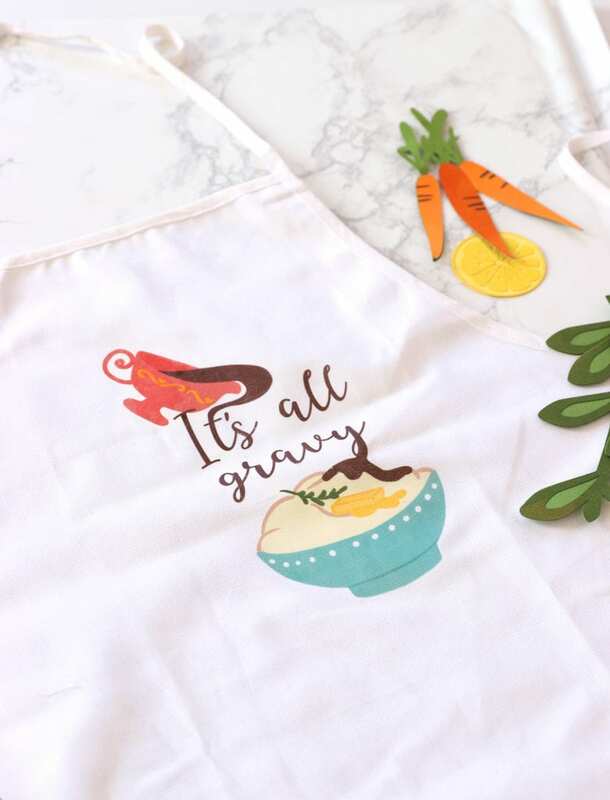 Whether you’re preparing for tomorrow’s Thanksgiving feast or making your list and checking it twice – every real holiday lover needs a sassy apron to wear while decking your halls. 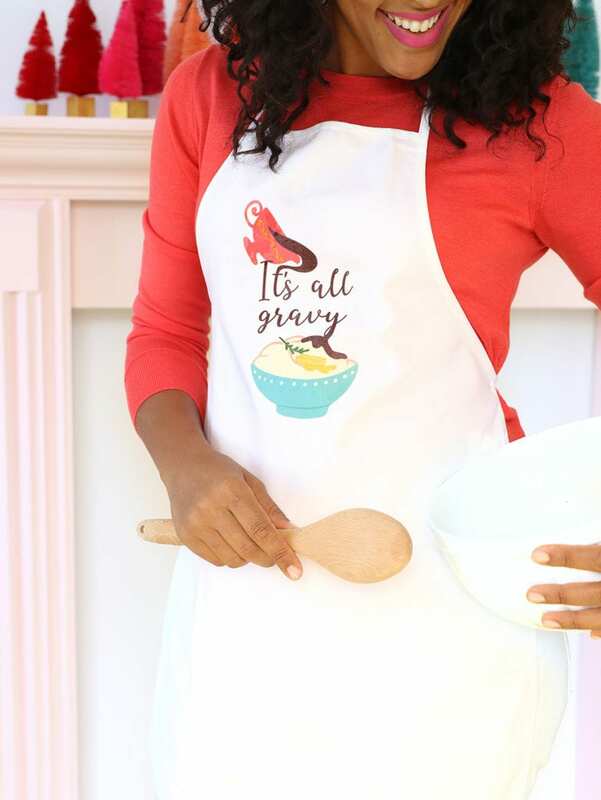 Personally, I like to hack the holidays by catering as many dishes as possible…then throw on a cute apron and pretend I made everything by hand. 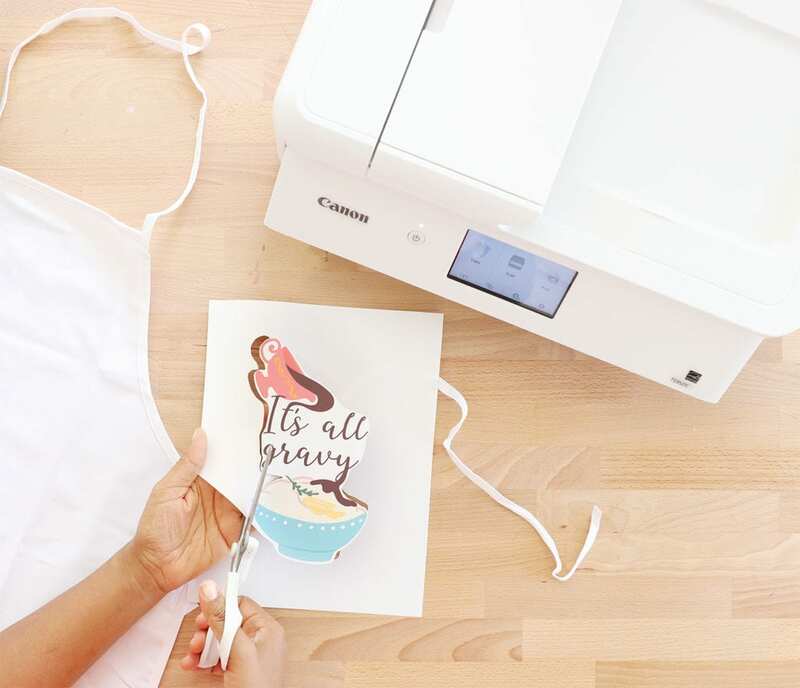 First step in mastering this holiday hack is to create your own apron using your printer! 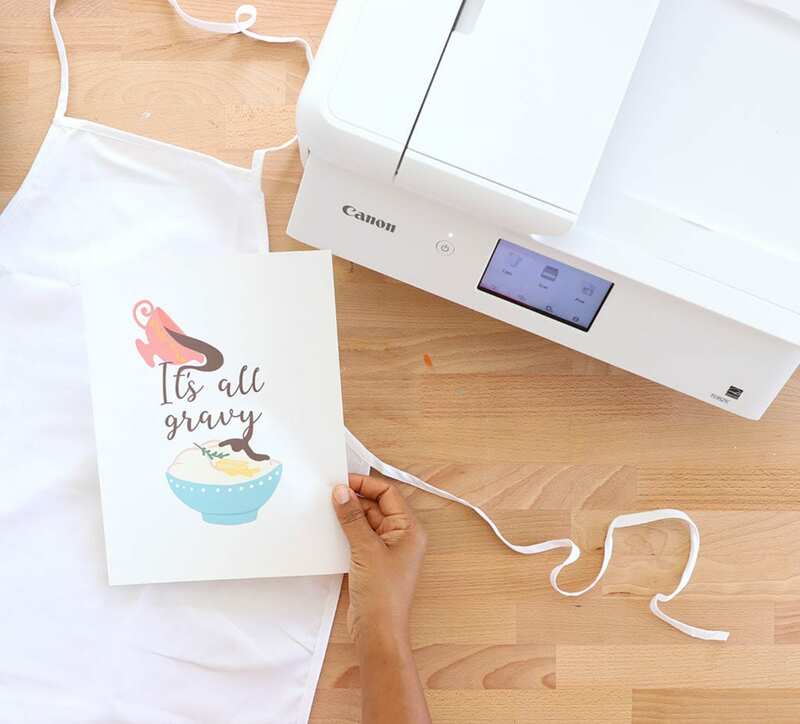 Yep – you heard me – use your Canon PIXMA TS9521C printer to create a one of kind apron…and while you’re at it, make an apron or two for your friends and family. 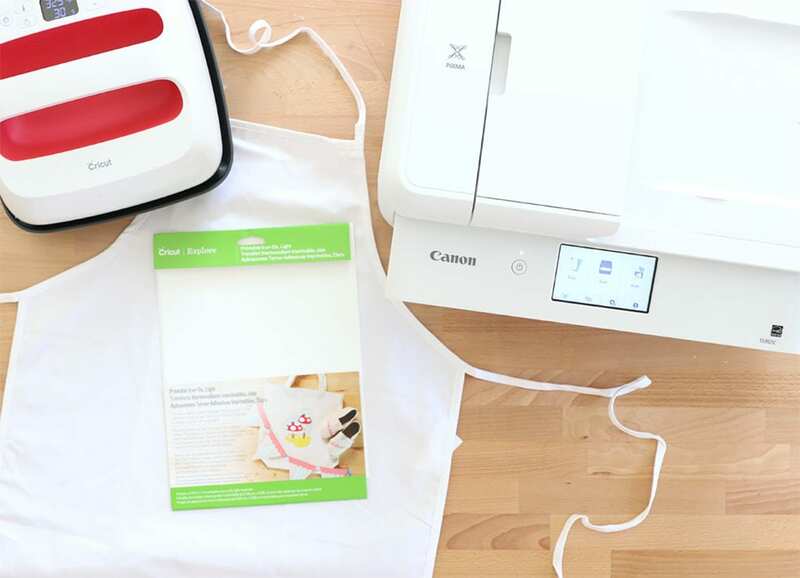 The Canon PIXMA TS9521 is designed with crafters in mind, which means it can accept lots of different paper materials including thick cardstock and printable iron-on sheets. 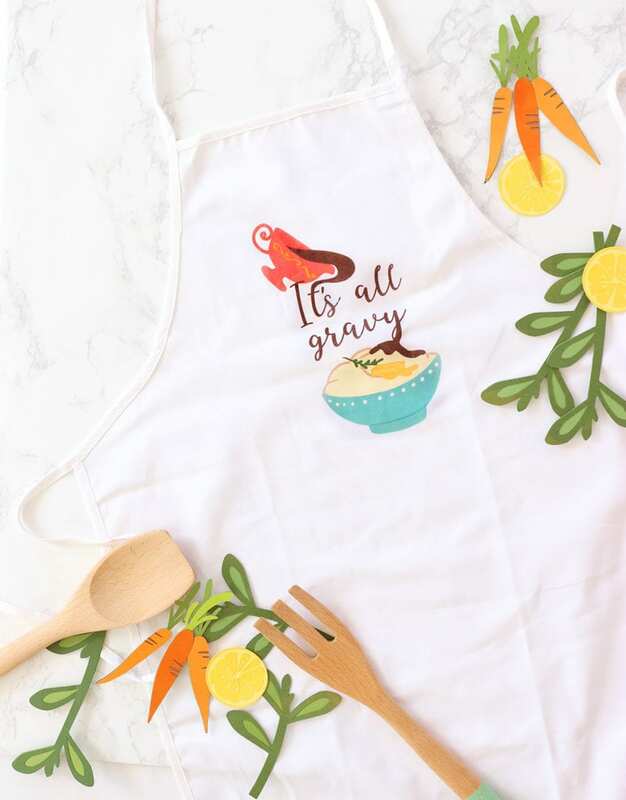 For this project, I used Cricut printable iron-on sheets along with our free image download to create an apron in minutes. Let me show you just how easy it is! 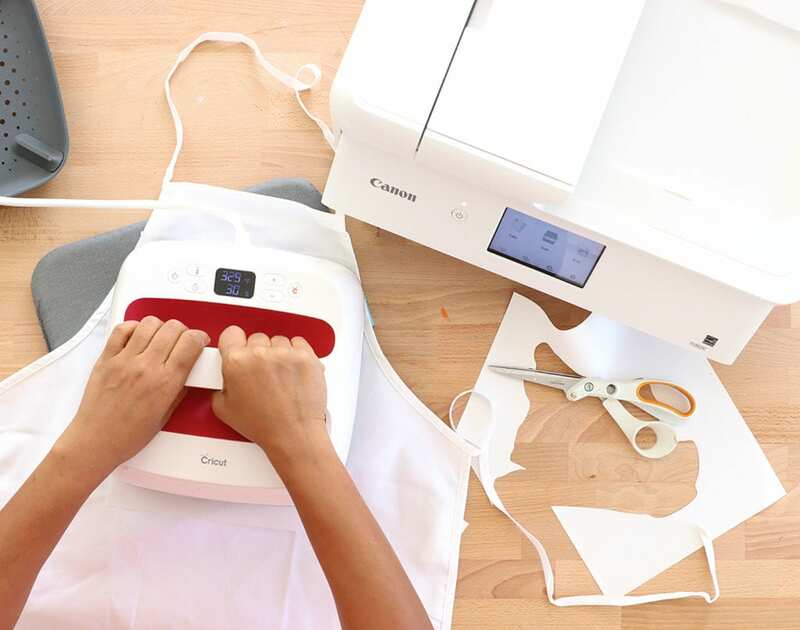 Use scissors to trim around the design – you DON’T have to be exact here! 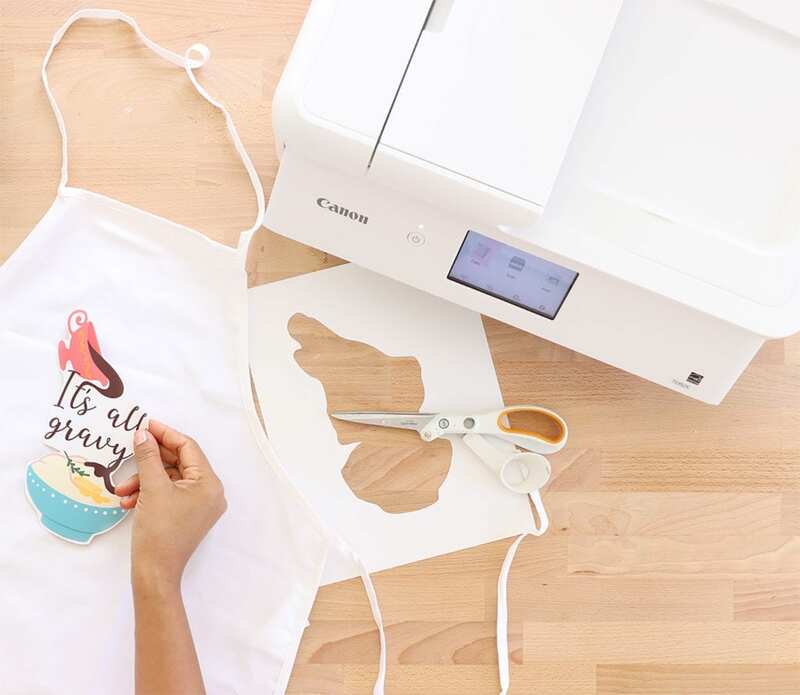 The white portion of the iron-on sheet will become transparent once ironed into place. 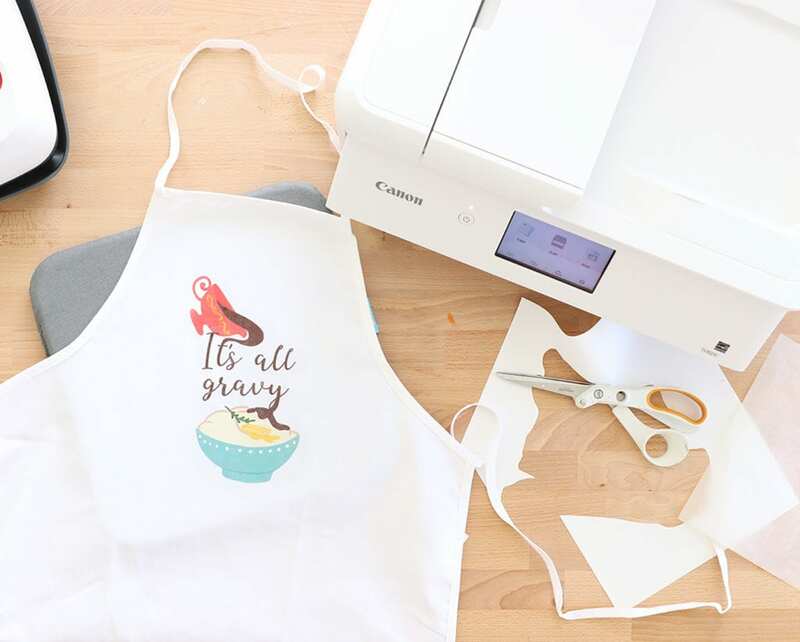 Place the design onto your apron and use an iron or the Cricut Easy Press to secure it into place. Be sure to use a piece of scrap fabric as a barrier between the iron and the design. You do not want to make direct contact between the two. And that’s it! Super simple, but a great way to celebrate the holidays in DIY style.